Let Resolution Realty help you step-by-step to kick start your real estate career into high gear. We have the leads, training, and technology you need to close your first 3 deals in your first 90 days and the plan to take you to $100k a year. Our exclusive database of potential clients for you to reach out to and the processes and systems to grow your own business database as well. Your own dedicated website and lead conversion platform, email/sms blast technology, proven email drips to convert leads, cutting edge technology from Lead to Close. We have the leads you need to be as busy as you want to be! Our marketing department never stops lead generating, providing an overflow of leads every single day. Any brokerage can provide “leads”; Resolution Realty has proven system and plan in place to provide ready, willing and able “QUALIFIED” leads to help every agent succeed. Ehren has more than 250 active listings on the MLS! Our team will cultivate the lead so you can focus on servicing clients while we take care of finding new business. Take advantage of our signing bonus, favorable commission splits and systematic approach to building business. Whether you’re looking for sales training, personal coaching or business plan development, we can help you reach your highest potential! Click the green button to apply today! Reach Your Real Estate Business Goals With Our Help. Learn the ropes with all the tools, training, and support you need to get started. Direct one-on-one help from seasoned agents ready to show you the secrets to a successful real estate career. Building on the foundations of the apprenticeship, follow our step-by-step plan to closing 6 Figures in your first year in the business. Having mastered the fundamentals, learn how to really make your business your own by finding your unique section of the market where the sky's the limit on your income potential. Further, plan your future as a Team of One or get the help to Build a Team of Your Own. Times are always changing. As the market and trends transform each year, our team's innovative strategies grow with the needs of the market. Clients are top priority. Providing a high level of service for each and every client at all times to build long term business relationships. Our trustworthy team members have high integrity while always being reliable for getting the job done. I was able to double my productivity, business and income after joining Ehren’s team. The company culture is straight forward. Training, opportunity, growth and integrity! All the tools and leads you need to be successful! 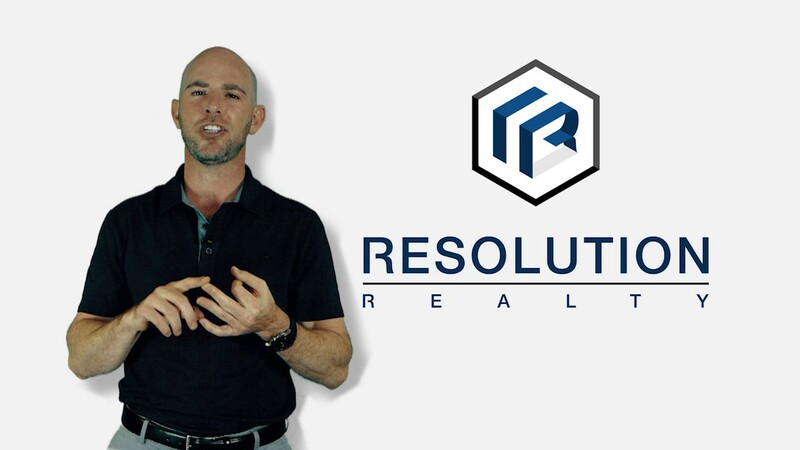 Resolution Realty is a forward thinking Real Estate Firm that uses cutting edge technology to generate and cultivate leads. Ehren Alessi’s proven system will benefit a new or seasoned agent in the industry. I’ve listed more homes in my first 9 months than I did in the last 4 years working on his team! We're always seeking sales agents who are motivated to reach new heights in their real estate career.